When it comes to data acquired from programmatic advertising, having greater democracy in the access of that information organisation can be beneficial for the brand as a whole. 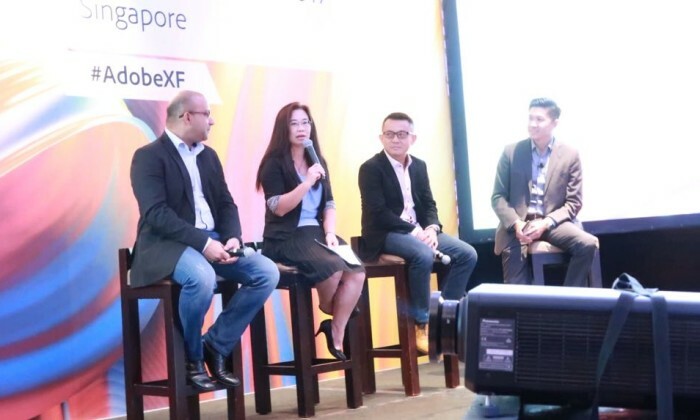 Sanchit Sanga, chief digital officer at Mindshare APAC & MENA, during a recent panel discussion at the Adobe Experience Forum Singapore said brands should not confine better targeting and better relevance to solely the advertising and marketing teams. While the consumer journey might just start with the delivery of the ad, it ends much later in the value chain. It is myopic to look at data and say programmatic advertising solely brings data points which give you relevant delivery for your impressions. In fact, more teams should try to understand what they know about consumers from the data gathered by the programmatic teams. Brand marketers then need to think about how they can tailor-make that experience for the consumer, Sanga added. “This way, brand marketers can build a preference towards themselves with customers,” he said. Agreeing with Sanga was Jeffrey Seah, industry veteran and partner at Mettle and Salt Partners. Seah explained that along the way, brands will soon realise that work done towards boosting brand affinity is not limited to the marketing and sales function. Brands will soon realise that work done towards boosting brand affinity is not limited to the marketing and sales function. “As you bring programmatic through the organisation, everyone who touches the data can have a way to push and plan for brand affinity growth. The whole idea about technology benefiting other functions. The performance of the brand is just the first step,” Seah said. In fact, programmatic has driven a new agenda into how organisations are developing, Seah said. This can be seen in more marketers bringing in more people from outside the marketing and sales organisation in assessing the data. “As more people from different work function gain access to this information, they will start to see the value of it and how much they can add to the insights,” Seah explained. That way, all departments in the company will be able to understand the power of the insights mined from the data collected and interpret how it impacts their role and function. When asked about the future of programmatic advertising in the next five years to a decade, Seah explained that for start ups, programmatic 1.0 was about automation while 2.0 was about prediction. Programmatic 3.0 will be about pushing consumers towards the actions brands desire. “This will enable brands to tweak and be able to stay in the minds of customers,” Seah said. Meanwhile, Jessica Chuang, director, regional marketing G. China, SEA & IN, Hotels.com, is of the view that more adoption from both the client and inventory side will be likely seen. In five years, “everything will be all about programmatic”, Chuang added. Agreeing with both Seah and Chuang was Mindshare’s Sanga, who added that over time, most channels will be bought programmatically and automation will come into play. This will enable a much better understanding of the same consumer across channels and devices. Hopefully the world will become slightly more democratic with reduction of spends on Google and Facebook. Brands show their love for dads this Father's Day. ..
Come October, Time Out Singapore will see a new publisher in Mongoose Publishing following the end of its contract with Ink Singap..
ENM will remain operational through its investment in Three R Media, its programmatic media buying, marketing and advertising comp..